"Pulsating Decorativeness: Recent Paintings of Asit Mondal"
"Most attractive and original decorative style" and "a pleasing sense of colour and design" - these were two very pointed and subtle remarks that Satyajit Ray made while making a short written comment on the paintings of Asit Mondal in 1979, when he was at the beginning of his artistic career. Mondal, who is exhibiting at Aakriti Art Gallery in Kolkutta through August 16, 2008, has traversed a long way since then, but the two distinctive features that Ray noted in his early works has not lost relevance till now despite lots of transformations and developments in his executions during the long period. Decorativeness is often considered a derogatory term in the context of so called high art. It was the reason due to which some of the European scholars undermined oriental or Indian art during nineteenth and early twentieth century. Fine art and decorative art were considered as two separate streams of human visual expressions, former having aesthetically a higher status than the later. 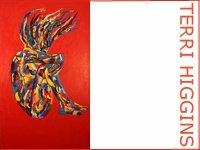 Aakriti Art Gallery promotes their artists with a Gallery Portfolio at absolutearts.com. It has not been possible for them to conceive that decorativeness has its own philosophy. Primitive, tribal and folk art of our country and also those around the world provide ample examples of this. This 'decorative style' that Ray considered 'most attractive and original' which Mondal adopted as one of his formal attributes was probably accepted deliberately by him as a way to connect himself with the living traditions of our country. This rootedness is a prime feature of his works. After completing his course in Painting from Indian College of Arts and Draftsmanship, Calcutta in 1970, where he was adequately trained in Western modern techniques under such celebrated artists, who were his teachers there, like Bikash Bhattacharya, Suhas Roy and Bipin Goswamy, he opted to adopt the traditional indigenous forms and techniques that are being practiced in our classical, folk and tribal arts. But during his institutional training and practices there after, he could make a strong base in modern European and naturalistic style, where he was very much indebted to his teachers, who were/are stalwarts in the field of modern Indian painting and sculpture. This base was very true for Mondal. So when he started his sojourn towards the root, he did it standing on this strong modernist base, which helped him to come out of the conventional weaknesses and idiosyncrasies that are often noticed in some of the shallow renderings of the so called Indian style of painting. He adopted tempera as his principal medium, where he could play adequately with the luminosity of colour that the jubilant sunny atmosphere of our land calls for and also adopt the environment of enlightened dreams that the myths ingrained in our communal flowing life provide. He thus tries to extract the transcendental enchantments from the collective unconscious of the present complex existence. This may be termed as an outline of the theme of his works. To provide a dimension of the contemporary existential complexities he resorts to the modernistic linear arrangements, which he has internalized through his academic training and long personal practices. His works are mostly linear. He uses conglomeration of smart straight lines meeting in sharp angles giving rise to a decorative flavor, also exuding some kind of cubistic arrangement. This duality, lyrical decorativeness and cubistic complexities, these apparently opposing qualities, are the crux of his construction. His works are in the same fold lyrical and constructivist. The luminous colour composition in building up the background environment or landscape elements, some times providing an added exuberance through use of golden layer, brings out a pulsating lyrical tinge. Here he can posit a kind of meditative contemplativeness that can be sensed in the world of our miniatures or some of the best products of neo-Indian school. Against this lyrical setting he builds up the figurative elements in linear construction. In these constructions he tries to assimilate various local and global traditions. Constructional complexities growing out of linear net work often smack of a cubistic environment, but that structural characteristic may not necessarily be an out and out European modernistic product, there one can sense primitivistic or tribal expressionistic elements also. This creative circuit is an essential feature of modernity. The expressionistic products in his paintings yield to various kinds of fantasy elements, where in the submerged layers one can feel the quintessential flavor of Paul Klee. Very often an Egyptian silence reigns. Through assimilation of all these diverse elements Mondal tries to build up an indigenous yet original identity of his paintings, but at the same time endeavors to come out of a fixed pattern of execution that can be termed as a 'trade mark' of the artist. His motto is to eliminate that closed boundary, which in the name of identity limits the expression of the artist. So he works in various forms. While his linear constructional executions suggest the presence of pulsating decorativeness, his broad-brush freehanded broad-stroked works indicate emancipation of human emotions. He dwells both in the intuitive twilight zone of the mythical past and connects it to the present, where the forms of man and animal or bird merge; also within the heat of the angst and terror generated by 'power' that stands as an obstacle to human progress. Within this diversity of expression his commitment stands fixed towards a divine beauty that our rooted existence exudes, where various global currents are continuously merging. His decorativeness always pulsates with the jubilant life around him.